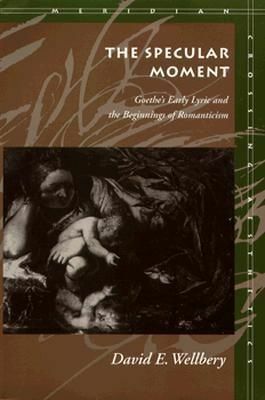 In this book, the author has three aims: (1) to elaborate an interpretation of Goethe's lyric poetry adequate to the intricacies of its subject matter; (2) to demonstrate the significance of that poetry to the development of European Romanticism; (3) to establish a method of inquiry that weaves together the major strands of theoretical reflection in modern literary studies. Remarkably enough, no study of Goethe's early lyric poetry has been published in English in the last fifty years. But the reading of this poetry the author presents is not intended merely to introduce an English readership to a major body of work; rather, the book delineates for the first time in any language an account of the symbolic network or organizing myth that underlies Goethe's individual poems. This marks a decisive break with the previous research on Goethe, which has tended to view his poetry as the expression of occasional experiences. The author shows, on the contrary, that Goethe's lyric work circles around a core set of problems and figures, that it evinces a systematic coherence until now unperceived despite an enormous interpretive literature. In the literature on European Romanticism, consideration of the German contribution has typically been restricted to the theoretical work of the Schlegel brothers and Novalis, and philosophers such as Schelling and Hegel. The author contends that the ideas they articulated were first worked through in Goethe's astonishingly bold poetic experimentation. In this sense, Goethe's lyric can be seen to constitute one of Romanticism's earliest and most significant beginnings. In addition to its interpretive and historical dimensions, The Specular Moment pursues a methodological aim. The author has combined the insights of linguistics, semiotics, psychoanalysis, social history, and philosophy in such a way that they yield a powerful and supple instrument of analysis. Thus, the book offers a fully developed contribution to the contemporary debate on method, a contribution that argues for interdisciplinarity, descriptive precision, controlled conjecture, and, above all, respect for literary complexity and nuance.